"Cubs begin shrieking in the den after the initial shots are fired." 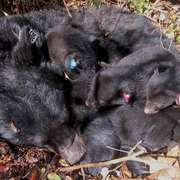 A mother black bear and her two newborn cubs were resting in their den on Alaska's Esther Island in April — they had no reason to think that these would be the last moments they were alive. A father and son were charged this week for illegally killing the entire bear family and then trying to cover it up. Little did they realize that a wildlife camera caught the whole incident. The men were skiing nearby when they noticed the mother bear. 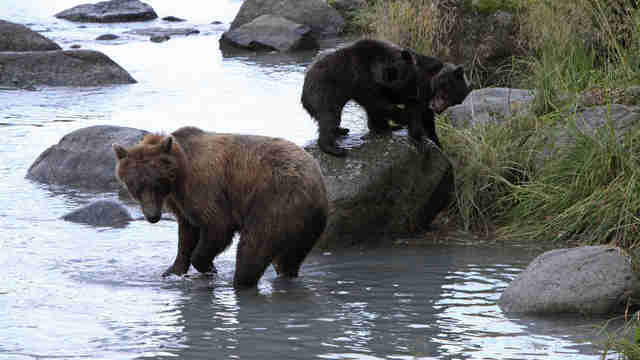 The son immediately pulled out his rifle and fired two shots at her, according to a sworn report from the Alaska Wildlife Troopers about what the wildlife camera footage shows. "Cubs begin shrieking in the den after the initial shots are fired," the report reads. The men approached the den, presumably because they heard the shrieking. Then the father shot and killed the newborn cubs from just a couple of feet away. The mother bear had been wearing a tracking collar because of a study to try to determine whether black bear numbers are dwindling in the region. Once the men realized that she had been wearing a collar, they realized that they might get in trouble, since hunting bears requires a permit and the hunt can only occur during specific times. They slaughtered the mother bear's body and packed up the meat to bring with them. They put the bodies of the cubs in a bag and took it with them. And one man even went into the den to make sure they didn't leave behind any further evidence. The father and son who killed this bear family did not remain untouched by the law. 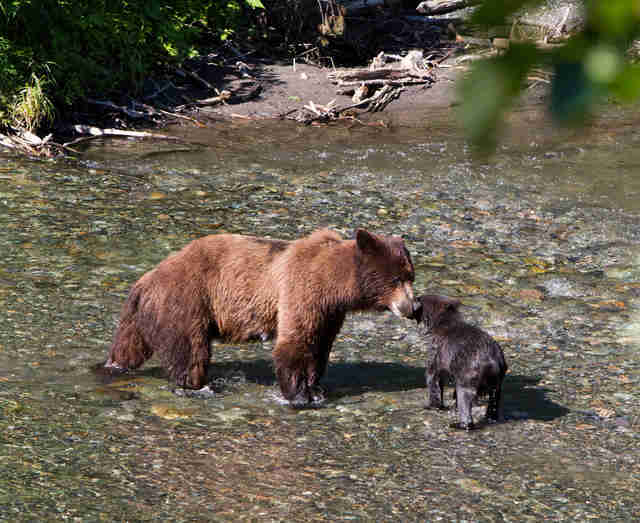 They have now been charged with illegally killing the mother bear and her cubs (misdemeanors), as well as tampering with evidence (a felony). "They'll never be able to link it to us," the camera caught the son saying. 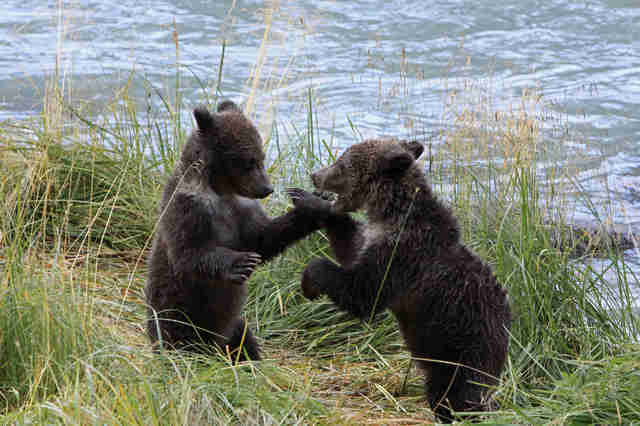 You can help protect bears from cruel hunting tactics by standing up for them in your state. You can also make a donation to Bear With Us, a rehabilitation center for black bears.